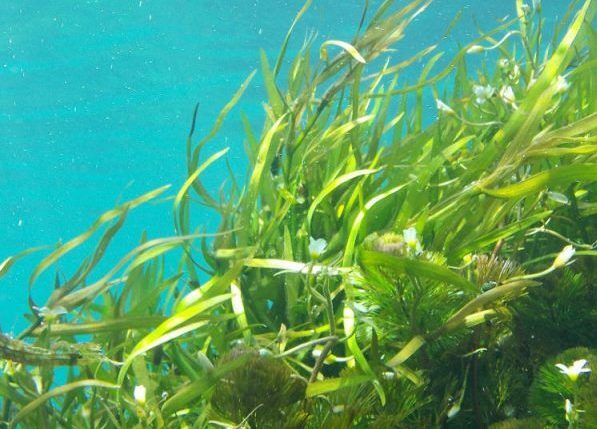 Commercial fish farms should be moved away from seagrass meadows in order for both to thrive in the future, according to new research. The meadows boost human well-being and the economies of coastal communities, but waste material from finfish aquaculture is known to have damaged seagrass populations worldwide. However, off the coast of Cyprus in the Mediterranean Sea, many fish farms have been moved into deeper waters – and on the seabeds beneath their previous locations, the meadows are flourishing once again. In a paper in Marine Environmental Research, researchers say this could be a positive example of how to work elsewhere in the world. The study was led by University of Plymouth PhD student Demetris Kletou and Research Assistant Periklis Kleitou, who also both work at MER in Cyprus. It also involved Professor of Marine Biology Jason Hall-Spencer and Professor of Marine Ecology Martin Attrill. It focused on beds of Posidonia oceanica, which form one of the most important but endangered coastal ecosystems in the Mediterranean. When fish farming began around Cyprus in the mid-1990s, cages were moored above the seagrass beds, but as production expanded they were moved into deeper waters. To assess the impact of this, scientists established four observation sites near major fish farms that had recently relocated, taking a series of measurements over the space of five years at 11 fixed plots within each site. These looked at the percentage of seagrass coverage, shoot density, the percentage of plagiotropic rhizomes, shoot exposure, leaf morphometry, and sediment organic matter content and grain size. The results showed seagrass limits had progressed at all the sites at between 1.2cm and 9cm per year. Declines were most pronounced at a site closest to the city of Limassol, and were down to other environmental factors given it was the furthest away from fish farming activities. This article was originally posted as Study Shows Moving Fish Farms Enables Seagrass Meadows to Thrive at Eco Magazine on 17/07/18.